Out of respect to James Van Der Beek's joyous day, I am going to resist making quite as many Dawson's Creek references in this post as is my instinct. 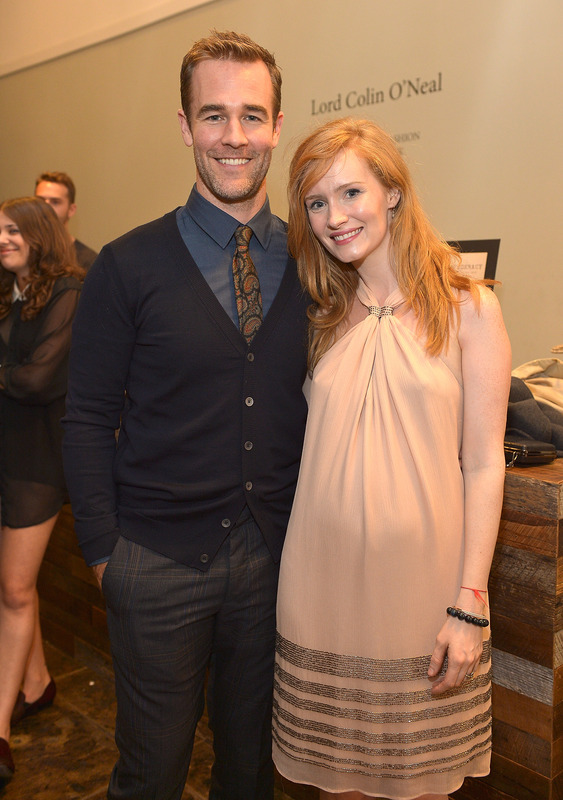 Because James Van Der Beek's wife just had a baby! Hooray, babies! Kimberly Van Der Beek, who's been married to the former Don't Trust the B— In Apt. 23 star in Aug. 2010 — they have two kids together: Olivia, born Sept. 2010, and Joshua, born March 2012. This is both Van Der Beeks' third child, a baby girl whose name the world at large does not yet know. The birth itself was a natural home birth, which would make my mother really happy. Look, mom! Another celebrity gave birth outside of a zillion-dollar Cedars Sinai birthing suite! The Van Der Beeks' rep released a statement to people noting that "Kimberly and little one are doing really well,” which is nice to hear.